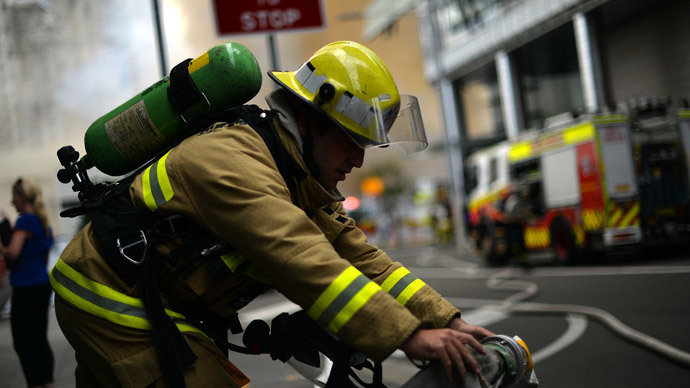 Hundreds of people have reportedly been evacuated after a fire broke out on the 13th floor of the IBM building in the central business district of Brisbane, Australia. Multiple firefighting crews have been dispatched and sealed off the adjacent streets. Hundreds of people, including those who just evacuated from the high-rise on Edward Street, watched thick smoke billowing from one of the upper floors of the building. Firefighters were called to the scene at 12:40 pm Tuesday. The whole 13th floor filled with smoke, but all employees were safely evacuated, according to the tech company. “All our staff are safe and accounted for,” an IBM spokeswoman said. According to reports, the fire may have started in a service elevator. Multiple #QFES crews attending incident on Edward St, Brisbane CBD, building evacuation in progress. The fire has been successfully put out and Queensland Ambulance Service said there have been no reports of injuries. Fire at Edward St #Brisbane CBD is out. Primary search has been completed by firefighters, secondary search underway.